Being a nonprofit is tough. Breaking out from industry conventions is tougher. Being a nonprofit is tough. 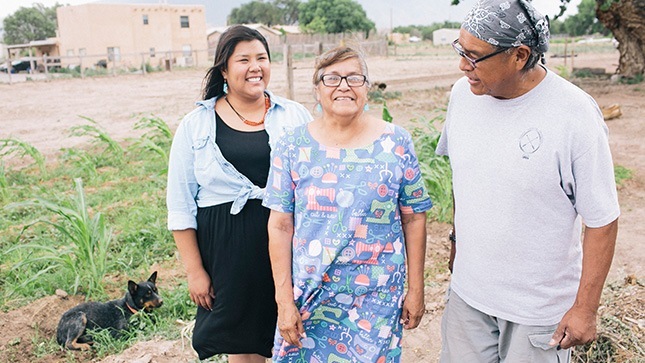 Accion has been making an impact for decades by providing specialized loans for underserved small business owners in Arizona, Colorado, Nevada, New Mexico, and Texas. 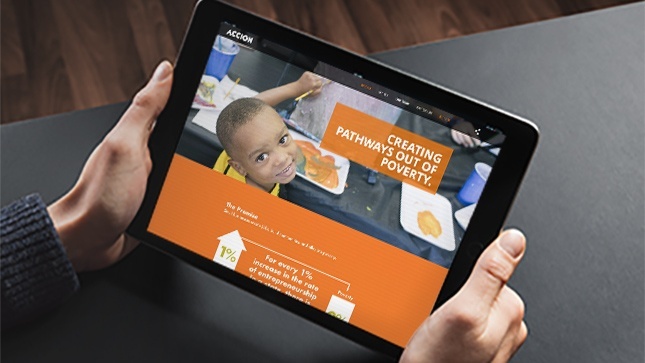 But even with amazing success stories and hundreds of transformed businesses, Accion was stuck. Turns out, there are a lot of nonprofits with amazing success stories, and they’re all competing for the same donors. 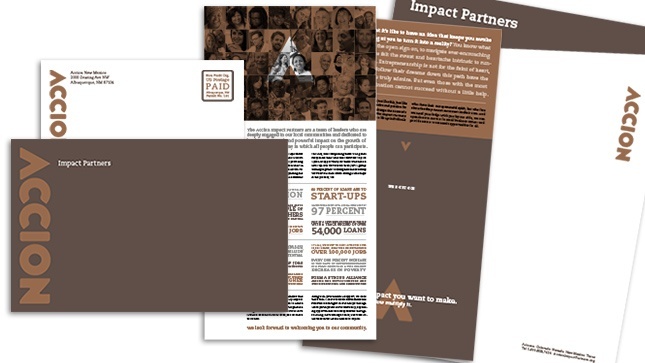 Accion sought our help to transcend a sea of benefit dinners, testimonials, and direct mail return-envelopes. So we got in its target’s head. 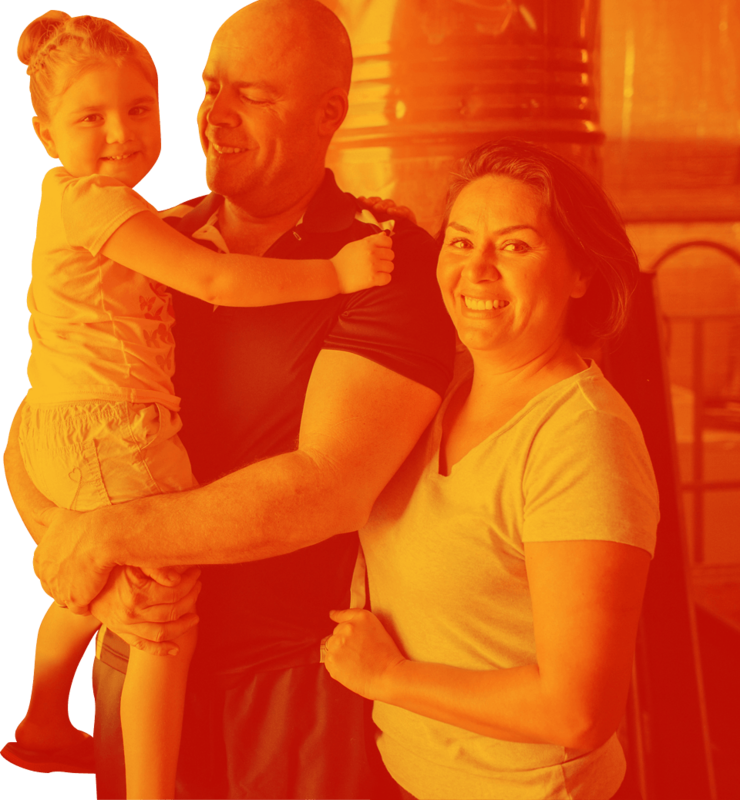 By understanding ideal Accion donors, their world, and what they’re feeling, we crafted a tailor-made strategy to show them how an investment in Accion is just what they’re looking for. 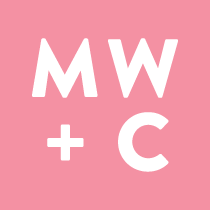 We helped develop a unique peer-to-peer plan for approaching them, and then we built the materials to back it up. A custom website designed to be shared by a friend or colleague provides a stripped-down, executive-summary view of the organization. 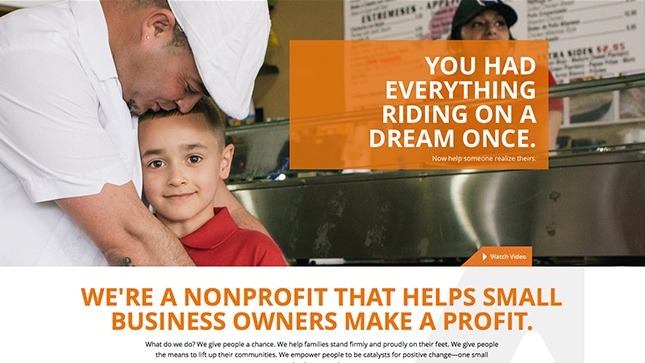 And a video dramatizing real-life stories makes a personal connection while cutting through the clutter of nonprofit industry conventions. By helping Accion overcome its challenges, we’re making sure it can keep doing the same for its clients.